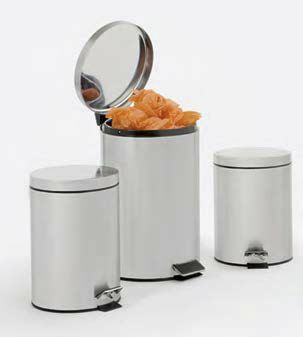 Wastepaper basket with lid and body made in stainless steel with inside container madeof ABS. 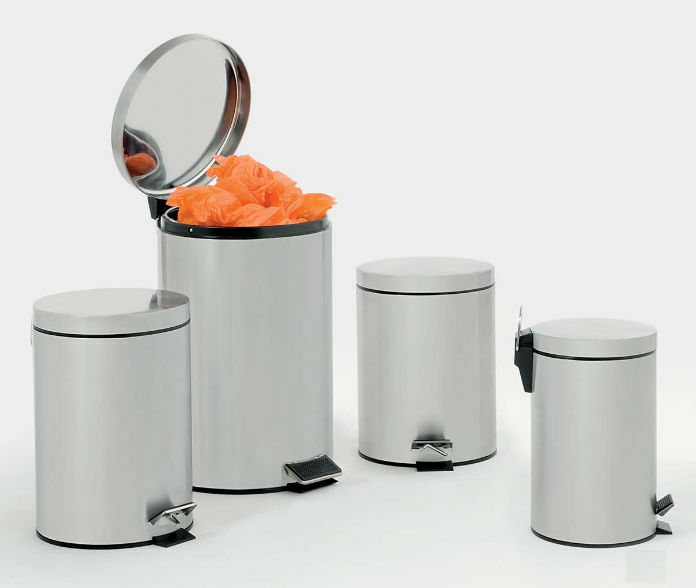 Foot pedal opening available. Cap: 1.3 gal.